With Wisconsin’s harsh winter approaching, Guelzow Heating & Air Conditioning Service advises local homeowners to get their HVAC systems inspected in time. But before you hire a heating contractor, it’s important to determine if they’re the right choice for the job. To help make your decision easy, Wisconsin Rapids’ top furnace installation company suggests asking technicians a number of important things. When you’re looking for a pro to work on your furnace, it’s important to find out whether they perform the particular service you need. For instance, some technicians are more comfortable with handling basic furnace repair and maintenance jobs but may not provide full-fledged installation services. Only a full-range heating contractor like Guelzow Heating & Air Conditioning Service can furnish you with a comprehensive range of HVAC solutions. Their impressive portfolio is one of the reasons why homeowners across Wisconsin Rapids and the surrounding areas pick them for all furnace-related services. 2. Are Workers Licensed & Insured? For something as essential as your home’s heating system, you wouldn’t want to risk further damage by leaving it to amateur technicians. A foolproof way to gauge a contractor’s capability is to ask them if their employees hold a state license and certification. Make sure that their workers are insured so you’re spared of any liability in case of on-the-job accidents. If you’re on the lookout for a fully licensed and insured company in your area, Guelzow Heating & Air Conditioning is the place to go. You can spot a seasoned heating contractor just by knowing the number of years they have spent in the field. A fine example is Guelzow Heating & Air Conditioning, which has been serving local clients since 1953. Their qualified team has the expertise to tackle almost every leading HVAC brand. 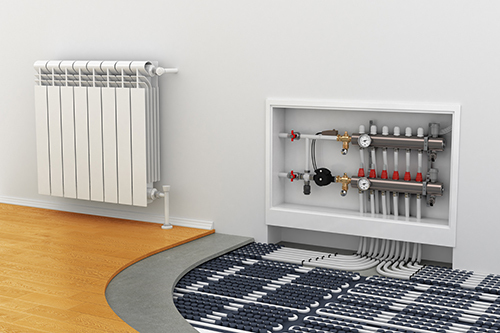 Thanks to their unmatched knowledge of heating and cooling systems, they provide you nothing less than the most durable products and services on the market. Happy to assist you around the clock, Guelzow Heating & Air Conditioning is a heating contractor you can always trust. Call (715) 423-1086 to get in touch with their furnace repair experts, and set up an appointment with them today. You can also visit their website to learn more about their furnace installation services and the products they offer. Catch their latest offers and updates by following them on Facebook.